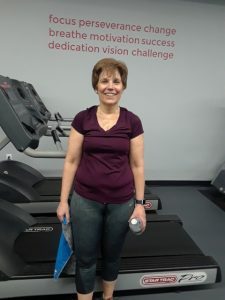 For many of our members, it had been a long time or they had never been consistent with exercise and we are proud to say that 95% of our member’s workout 2-3 times per week. That is what we consider a success! 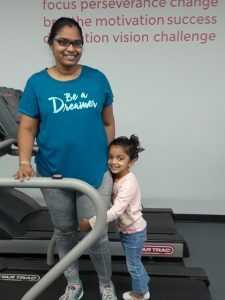 A member since 2018, so far has lost 41 pounds in 5 months – Come join our family, you will love it here. Great coaches. Always bring their A game pushing you to the limit. Awesome progression of workouts. Love that there are plenty of time slot for workouts with addition of spin, Zumba and yoga classes besides the best of all Boot camp. I definitely recommend this place. A member since 2005 – I am in my eighties and after a recent MRI my doctor said my films are of a woman thirty years younger. 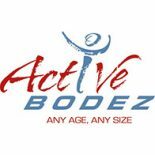 Active Bodez has been my life line for 14 years and is a very big part of why I am in excellent health. 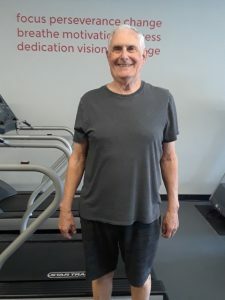 A member since 2008 – The workouts at Active Bodez help me at age 78 to continue to hike, bike and kayak 5-6 days per week. If you have a medical condition they adjust your workouts to accommodate you. 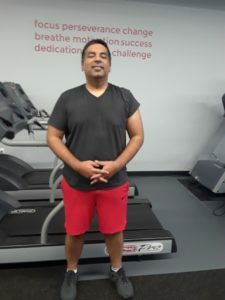 At another fitness center I tried years ago, no one seemed to notice whether I was there or not. Not so at Active Bodez! When you have to miss, they want to know. 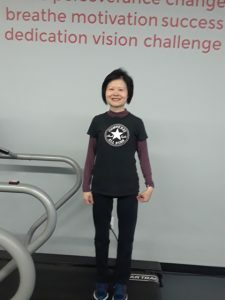 A member since 2017 – I had never found an exercise regimen that I’ve been able to maintain until I joined Active Bodez. 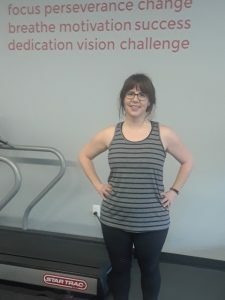 In addition to the quick and effective exercises, Alexius is encouraging, fun, and keeps me wanting to come back. I love getting stronger and seeing that I can do something that I couldn’t do before!! 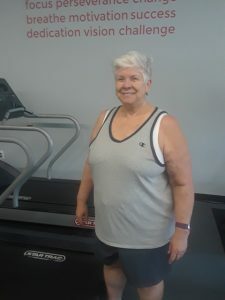 A member since 2006 – I have been doing workouts with Scott since my husband and I moved to NC in 2006. Throughout the years, Active Bodez has evolved and membership increased, but is still able to maintain its attention to details at the personal level. It is now also offering a variety of group classes. Alexius is a great addition to Active Bodez. I know I am getting a good workout at Active Bodez. I cannot be happier with my choice. 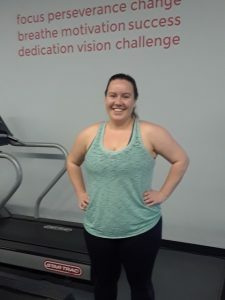 A member since 2019 – has lost 10 pounds so far in just 5 weeks. 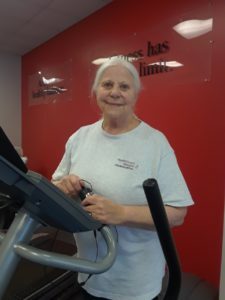 A member since 2010 – Eight plus years ago I began working out regularly at Active Bodez. With a plan reviewed and updated weekly by my coach, Scott, I have gained strength, agility and overall fitness. 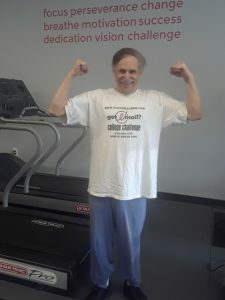 My active lifestyle over these years has led me to think of myself now as a young age 71 and my physician agrees with me. The feeling of community at Active Bodez is one reason I have been able to stick with my plan and regular workouts. It’s a small fitness center where others who work out when I do have become friends and that means a lot to me. A member since 2014- I never know what to expect and I need that variety. I always come and never dread it. I feel great that I make it every time. 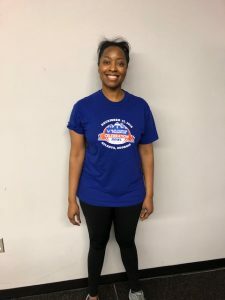 A member since 2017 – The Fit10n boot camps with Alexius are awesome! 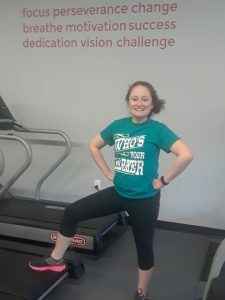 The workouts can be customized for all fitness levels and ages and they are fun too! 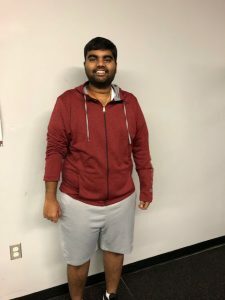 I have been a member since 2017 and have not missed a workout. A member since 2015 – Consistency is one of my strengths. 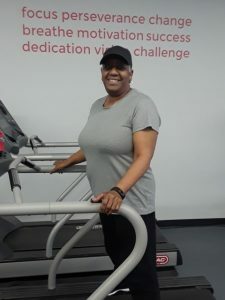 I’m able to maintain a consistent exercise routine at Fit10n. Once I reserve my workout appointment I’m committed to being at that class. 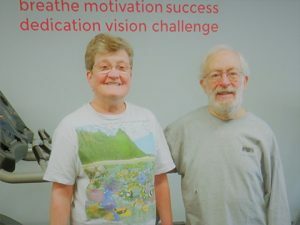 Thanks Alexius & Scott for helping me to maintain a consistent exercise routine. 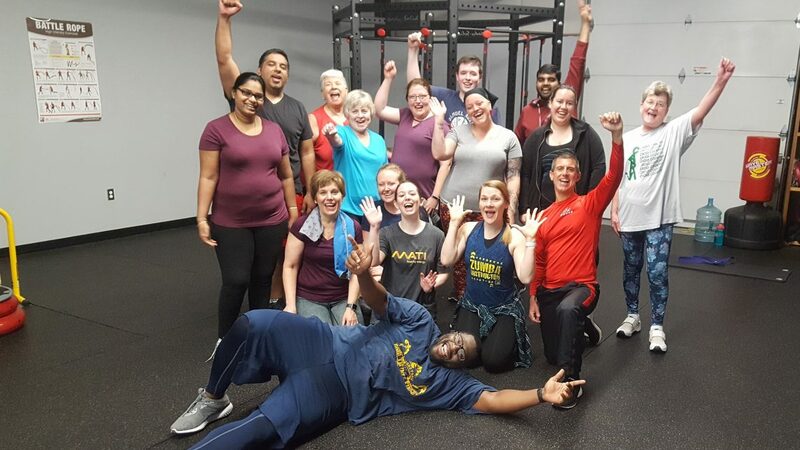 A member since 2017 – The Fit10n exercises get switched around and I am always excited to see what new thing we will be doing. Before I had to drag myself to my old gym to do my same boring routine. A member since 2009 – A wonderful place to work in an intimate setting and work one-on-one. If you need personal motivation to work out, check this place out. I used to hate to exercise but now in my 70’s I find a way to incorporate it into my weekly schedule. A member since 2016 –The Zumba classes are awesome! Alicia and Caroline are great instructors and they make the classes fun for any level, whether it’s your first class or twentieth. 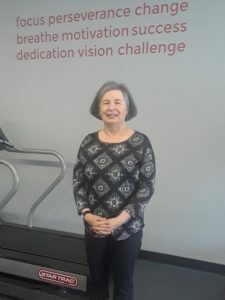 A member since 2008 – I have to have a knee replacement, but I have still been able to do boot camps, spin and yoga without any real issues. I credit a lot of that to the strength I have developed with my personal training sessions. Fit10n is exactly what I need for my busy schedule. I can get a high intensity workout in during lunch and not miss a beat in my day. I’m stronger and my clothes fit better! If you are looking for a convenient challenging work out- this is perfect! Alexius and Scott are the best! I was introduced to Active Bodez when I signed up for a Holiday challenge offered to state employees through our insurance. I got several classes and was able to speak to a registered dietitian for a great price. Although it was a 30 minute drive in the opposite direction, the multiple/flexible class times and amazing instructors made it worth it! I was able to maintain my weight throughout the holidays when I normally put on a few extra good eating pounds. All the staff are encouraging, motivating, fun, and friendly. The facility has great amenities too. Being able to track my heart rate and calories burned is a fun and innovative way to stay on top of my workouts. And the RD has helped me establish a healthy and realistic eating plan/lifestyle. Definitely recommend it! I love the Fit10n program and having a personal trainer instruct my workouts!! I joined the gym as a result of a discount deal on Facebook but it is 30 minutes away, so I only planned to participate for the 90 day special. 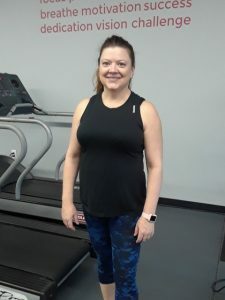 It’s been 11 months and am hooked on this terrific trainers client-focused approach which delivers results – I’m down 23 pounds!!! I can’t wait to see where my fitness will be with Alexius next year!! I feel like I am a part of the Active Bodez family and I know this is the place for me. As far as I am concerned, I am a lifetime customer. Thanks Active Bodez for your services and support. 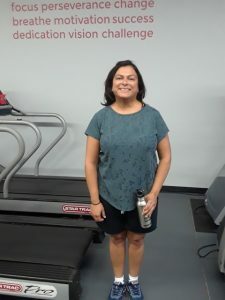 I have had the distinct pleasure of working with Health Fitness Designs and Active Bodez as both a client and as the Executive Medical Director for BCBSNC. Employee response has been overwhelmingly positive. They are knowledgeable, flexible and are able to motivate a wide range of employees to incorporate fitness into their lifestyles. A Wonder to work with…Great Results! 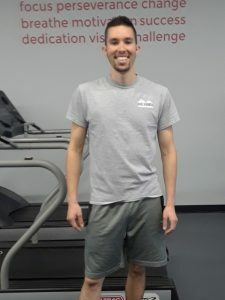 Scott and the Team at Active Bodez in Morrisville are an example of knowledgeable, courteous, and polite experts, who really work with you to help you achieve your personal best in fitness. They are simply a Wonder to work with and I enjoy the time I have spent there and the great results. It Shows!! !